Chi Connie Park, Ph.D., M.A. 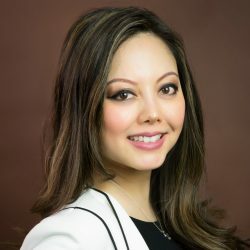 Chi Connie Park has more than 14 years of experience in applied social science research design, program evaluation, and capacity building in the areas of child welfare, child and family development, mental health, systems of care, fatherhood, and community and organizational development. At JBA, Park has worked on a number of projects, providing technical assistance in the areas of cost analysis, social network analysis, qualitative and multivariate data analysis, evaluation design, outcomes measurement, and evaluation reporting. She currently serves as a capacity building specialist for the Tribal Evaluation Institute supporting tribal home visiting grantees and as the cost study lead for the Evaluation of the Capacity Building Collaborative. For the Design Options for Home Visiting Evaluation project, she led a multi-phased, systematic review of home visiting and cost analysis literature to determine the feasibility of conducting return on investment analyses. Park received a Ph.D. in community psychology and an M.A. in psychology from Wichita State University.